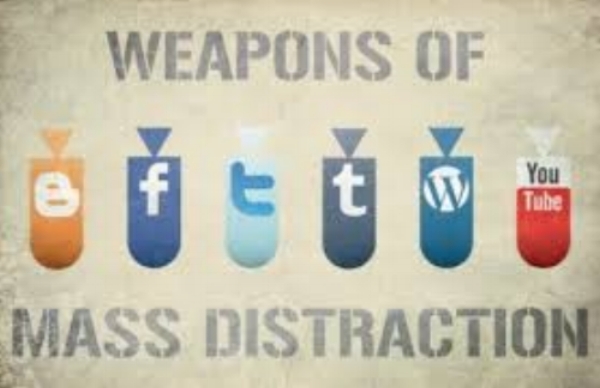 We all know how distracting life can be these days. There is email: multiple emails & accounts to keep track of, notifications on our phones, twitter, Facebook, You Tube, Instagram & more! There are so many things that can take our precious time away from us, it slips through our hands like sand. Many times it is not even a question of spending hours on these things at a time; but a few minutes here and a few minutes there really add up. This is a bad habit I am working hard to break in 2018 and because it is such a problem I want to share with you what issues I have and how I am working on this so that I can be more present, relax and do creative things in the afternoons. I am a very goal oriented person and love to have to-do lists, intentions and more each day. However, I can be as easily derailed from these tasks and also from just being present in the world and enjoying some true, distraction-free downtime by spending too much time on my phone and on the computer doing things other than writing blog posts or creating menus for my meal service business. It can be so easy to be distracted many, many times a day. Full Disclosure- I am so, so guilty of being distracted! I know my danger time to be distracted is in the afternoons. I have usually used up my very best 4-5 morning hours when I work best and I feel a bit depleted. So, it is easy to say "oh, I'll just look quickly at my messages, emails, etc." But, that turns into many minutes. I'll then try to start in on another task and be distracted again. Sometimes it will be a "loop" of checking email, then checking social media, then checking messages and then over again. "If you repeat an action often enough it will become automatic and therefore effortless." That means, if we replace the action of checking our phones with some other activity and do it often enough, then it will become automatic. Later on Harriet gives ideas about rewarding yourself (in this case in dealing with eating sugar or junk food) for stepping away from the craving for 5 minutes. She suggested writing these reward ideas in your journal. So, that triggered me to try it. The craving really did pass in 5 minutes when I engaged in a different activity. 1. Drink tea or water. 2. Color in a coloring page. 3. Put on some hand lotion that I love the smell of. 4. Take a photo with my new camera, test it out. + other short, creative or healthy/fun ideas. I began to try this yesterday afternoon and it really worked! I again worked on it this morning and was able to walk away from my phone after turning off a podcast without going into my endless "loop" of checking things. I did a coloring page and also have put on the hand lotion. It smells so good! What great rewards that bring happiness! I also made time to have "art time" with my son. I painted and colored my dot-to-dot picture while he drew a comic with his new graphic pens he got for Christmas. So much fun! We both loved that time together. I encourage you to try this for any "impulse" or "craving" you may have to be distracted. I will be reporting on my progress with this as well.